Communication is important in all aspects of life, but it is vitally important when your baby is admitted to the neonatal intensive care unit (NICU). Families are under tremendous stress – stress that is magnified if you feel ill-equipped to understand the medically complex care your child needs. Fortunately, the NICU staff is there to help. With the right support every parent can learn to navigate the NICU and become strong, capable and informed advocates for their infants. By learning the skills you need to communicate clearly and effectively with your baby’s care team, you will build strong relationships based on mutual respect and trust. Your baby will benefit from your advocacy, and these effective communication skills will serve you in other situations. The following tips are designed to assist you as you communicate with your baby’s care team. Be prepared to ask questions concerning your baby’s care. Write down questions as you think of them. Ask what the medical jargon means and what the abbreviations the team uses so frequently mean. They know that a “H & H” refers to the specifics of the baby’s blood work, but you may not. Ask about anything you do not understand and write down the answers. Often there is a great amount of information given, and it can be confusing. Keep a daily journal and write down important information. Be sure to write down the names of those caring for your infant. Parents should expect the doctors and nurses to listen intently to their questions and answer them appropriately. As the baby’s parent, it is your right to have your questions answered. However, it is also your responsibility to make sure that you understand what was said. A good way to do this is to ask the doctor or nurse if you can repeat back the answer you heard. The practice of repeating back the information given has prevented many communication misunderstandings in the NICU. While the doctors and nurses provide the highly specialized care your baby may need, always remember that you, as parents, are the most important people in your baby’s world. Be present at their bedside as much as is possible and learn all you can about their condition and care. Be a very visible part of his care team and insist on being part of any important decisions concerning your child’s care. Your baby needs to feel your presence, and those providing medical care for your baby will accept you as a vital member of the team. And expect respect in return. Be respectful of the rules and routines in the NICU. These rules and routines are based on best practice standards in the NICU, and they are in place to benefit your baby. Likewise, you should expect the respect of the NICU staff. When you make a request, it should be acknowledged with an appropriate response. As a NICU parent, you should never be ignored. Remember that you are the most important person in your baby’s world. Also be respectful of the other families in the NICU. Their needs may be different from yours, but they also deserve respect while in the NICU. As your baby’s condition changes, be flexible. Infants’ needs change continually, and the routine and care that worked yesterday may not work today. Be flexible and open-minded as your baby’s care needs change. Remember that you are part of a larger NICU community of parents who are also called upon to be flexible. You are entitled to your child’s personal medical information, but most hospitals have policies covering looking at the chart while the baby is in the hospital. You can make requests to look at their chart any time, but it is always best to sit down and do it together with your baby’s doctor. They will be able to help you understand what is in there and what it means. Looking at it together will open the lines of communication and build trust between you and the medical team. After your baby’s discharge, you may obtain a copy of the medical record by requesting it through the hospital’s Medical Records Department. 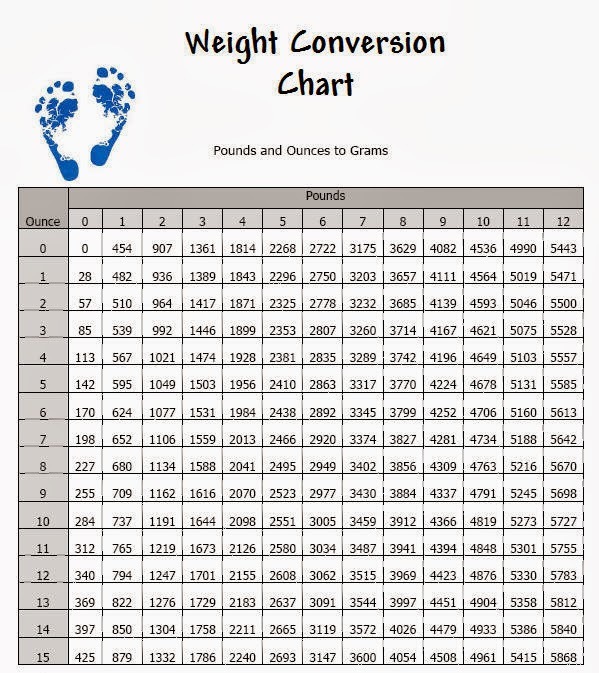 ♥ Everything in your baby’s chart will be recorded using the metric system. Don’t just point out problems. Be prepared to offer solutions. For example, if something has happened that you are concerned about, talk to the doctor, nurse practitioner, charge nurse or nurse. Explain your concern and give any suggestion you might have to make the situation better. Remember that you are your baby’s advocate, and express your concerns and possible solutions for the sake of your baby. If you are concerned about your baby’s nurse on a particular shift, talk to the charge nurse and express your concerns. If there is a breakdown in communication follow the “chain of command” (as the nurses call it). Go up the ladder to the charge nurse, then the manager of the unit, and then the director of the unit. Explain the problem as rationally and non-judgmentally as possible and ask for help in re-establishing communication with those important in your baby’s care. Be patient with your baby, the medical team, and most of all yourself! As Kelli Kelly, mother of two preemies and founder of Hand to Hold, states, “A NICU stay is a marathon not a sprint.” At times, improvement seems to come in tiny increments, and at other times, improvement may take a step backwards. Remember that the medical team is doing everything possible to help your baby improve and grow, but it takes time. As a participant in your baby’s NICU marathon, rely on the strength and support of those around you and possibly establish new support networks within the NICU family. Remind yourself daily to be patient. Being grateful is probably the last thing on your mind as you deal with the myriad of emotions involved in your baby’s stay in the NICU. The situation you find yourself in is certainly not what you pictured for life after delivering this baby. At times it seems so unfair to everyone – to you, your spouse, the siblings, the extended family, and most of all, the baby! Acknowledge your feelings and talk to someone who is willing to really listen to you. This person might be an existing friend or family member, a peer support person who has been through an experience similar to your own, or a professional counselor. Talking about your feelings helps you come to terms with the situation and allows you to look for something, no matter how small, to be grateful for. Look for something each day to be grateful for – an improvement in your baby’s condition, the explanation from the doctor, the caring touch of the nurse, or the friend who brought your family a meal. While difficult to adopt some days, the attitude of gratefulness will help you in this journey. ♥ Learn More about the Principles of Family-Centered Care. And How it Can Change a Family’s NICU Experience for the Better. Please remember that you can always ask for help. Don’t be afraid to enlist the support of your OB/GYN, primary nurse, social worker or any other medical professional for help. The NICU staff is there because they care about getting the best possible outcome for you and your baby. Let them help.